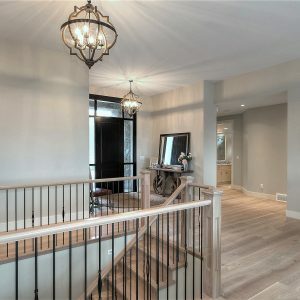 MOVE FAST! 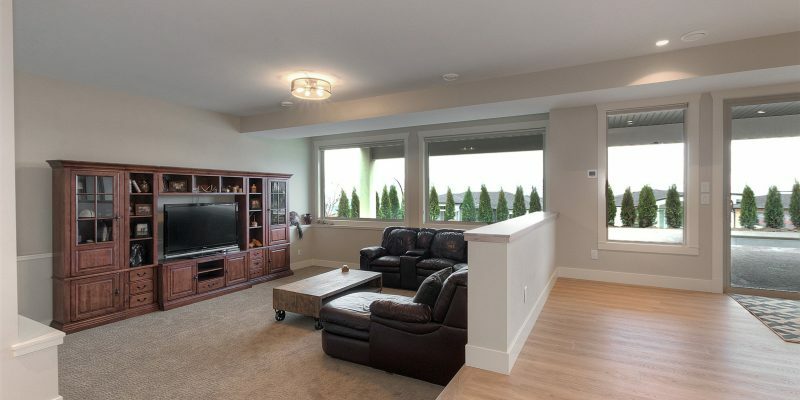 OFFERED @ the LOWEST PRICE/sqft. 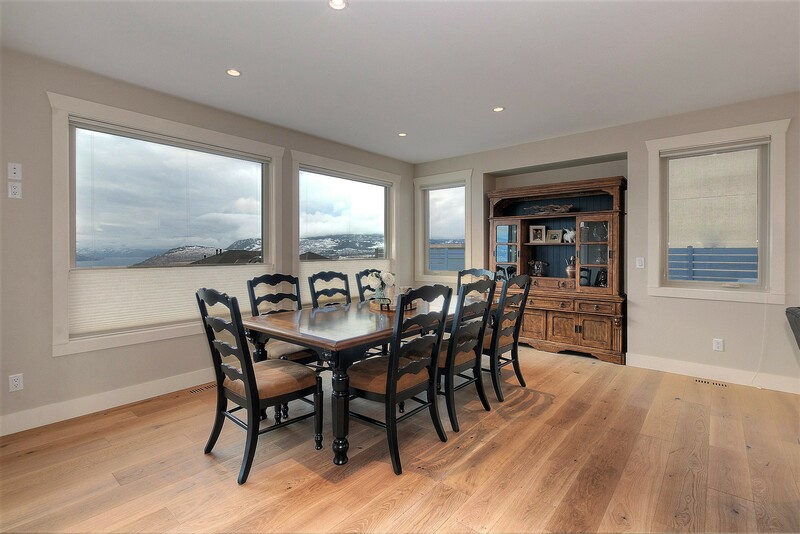 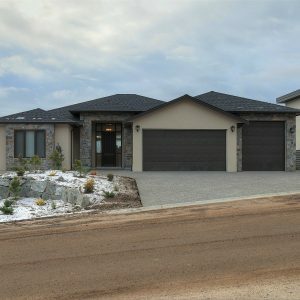 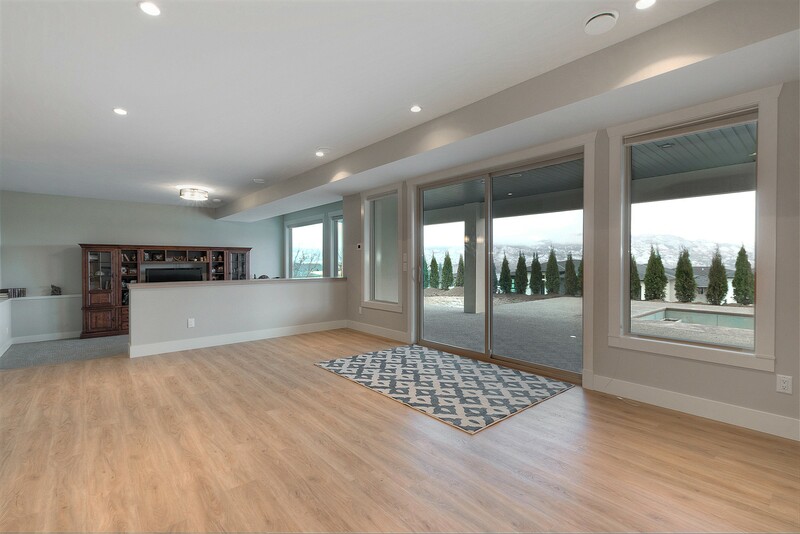 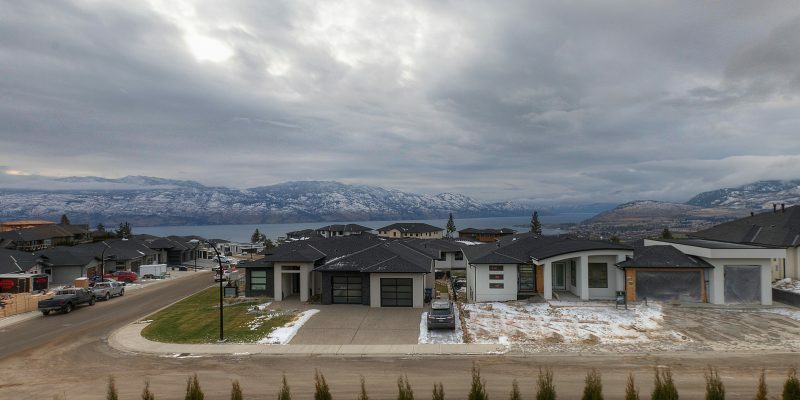 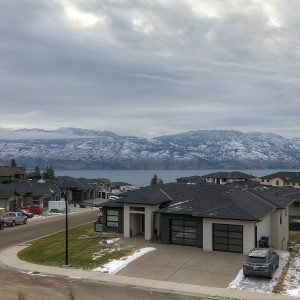 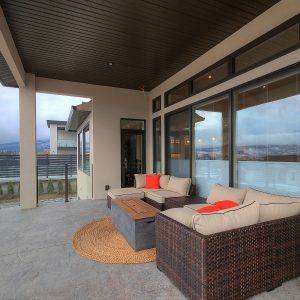 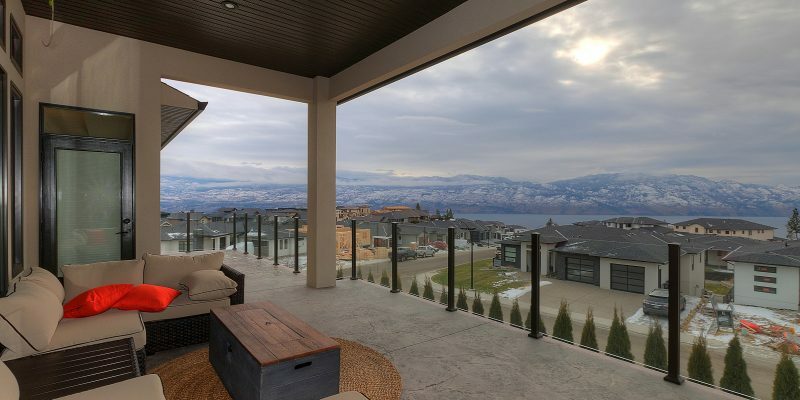 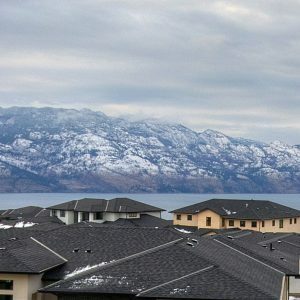 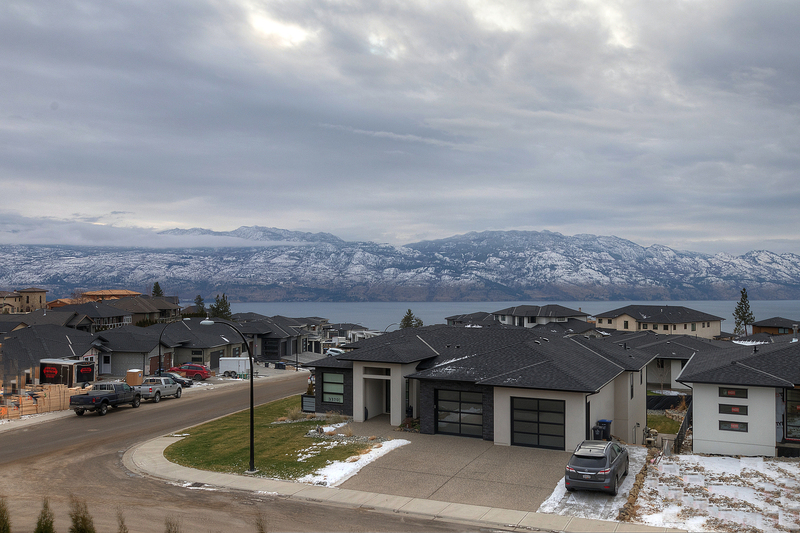 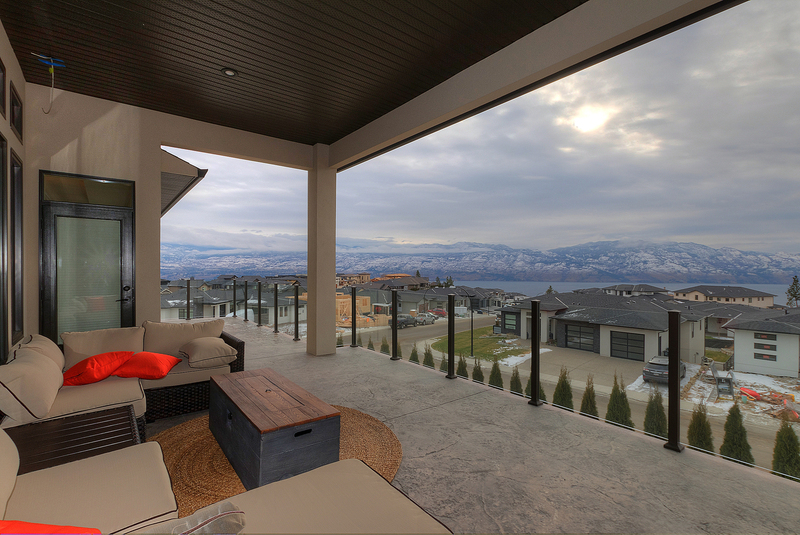 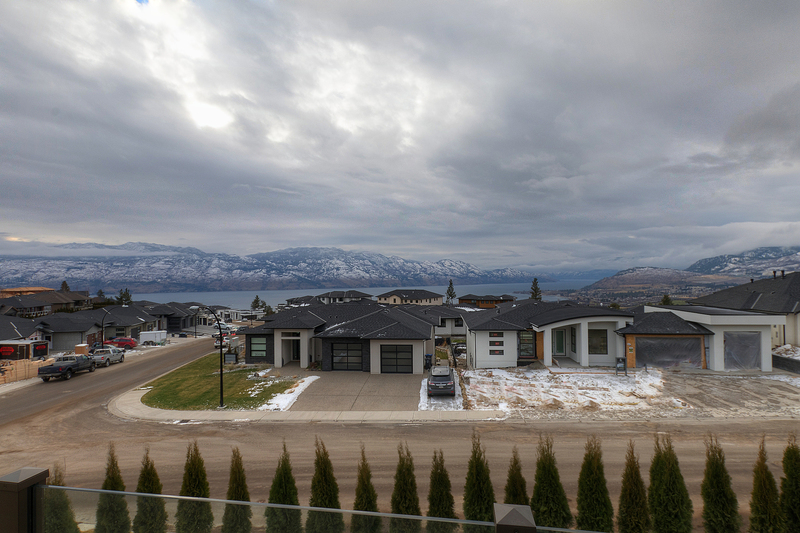 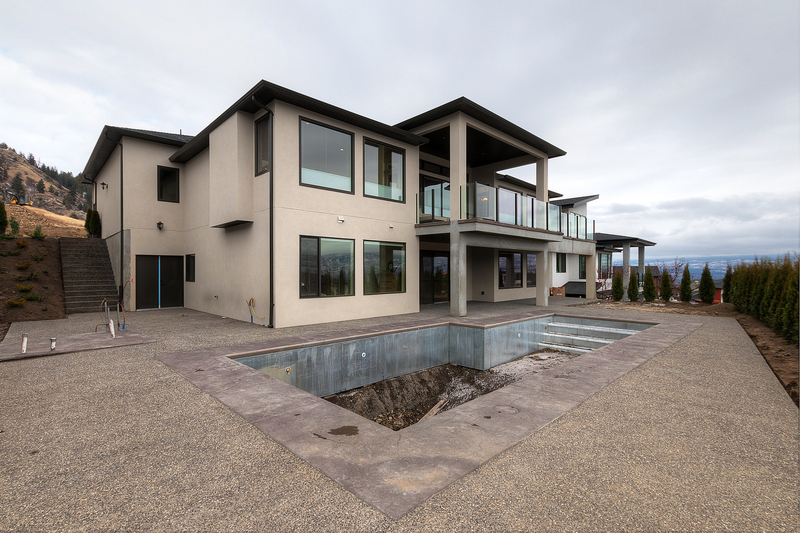 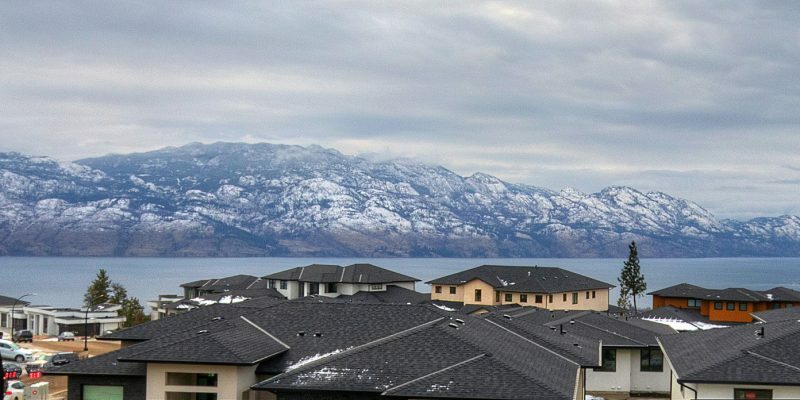 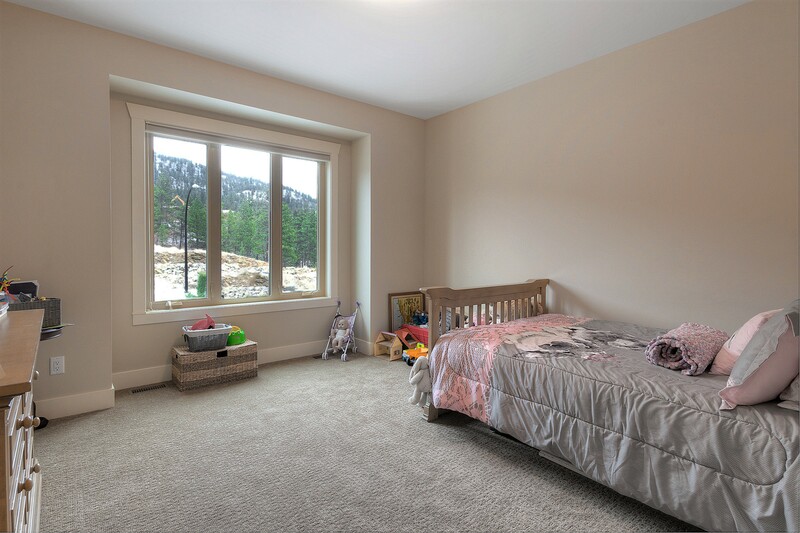 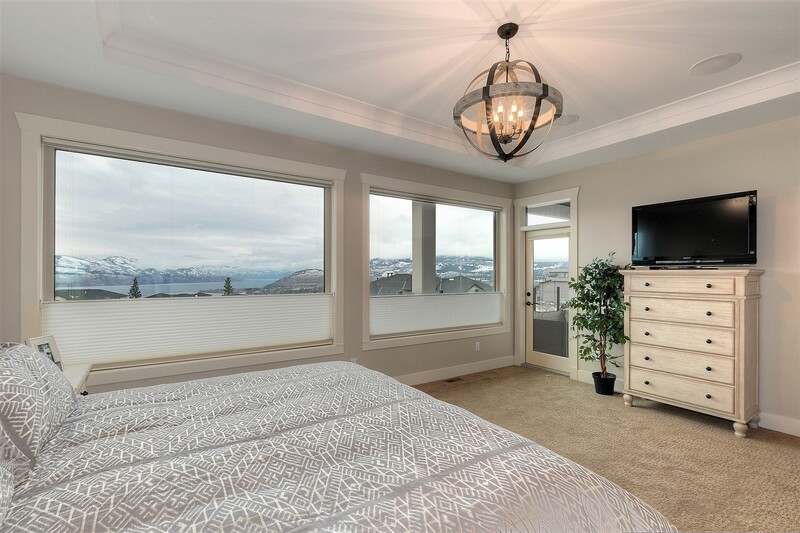 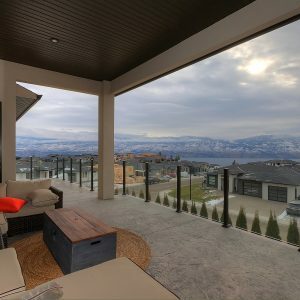 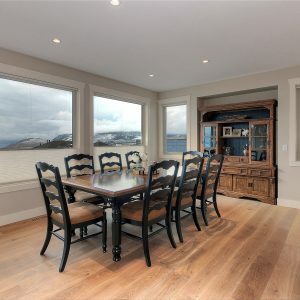 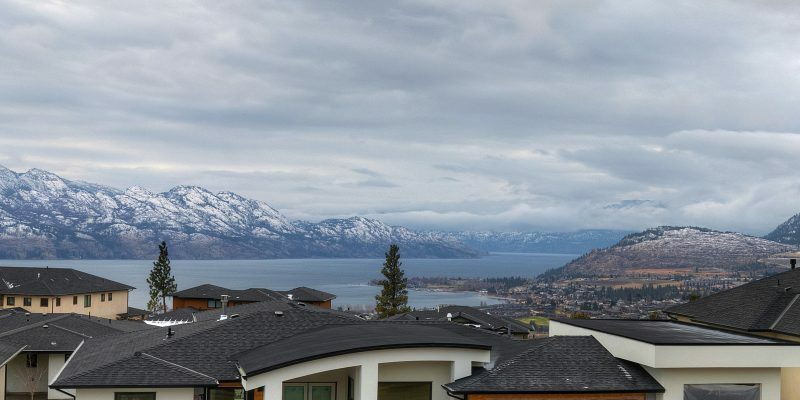 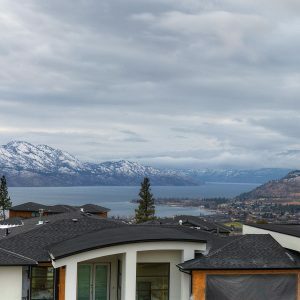 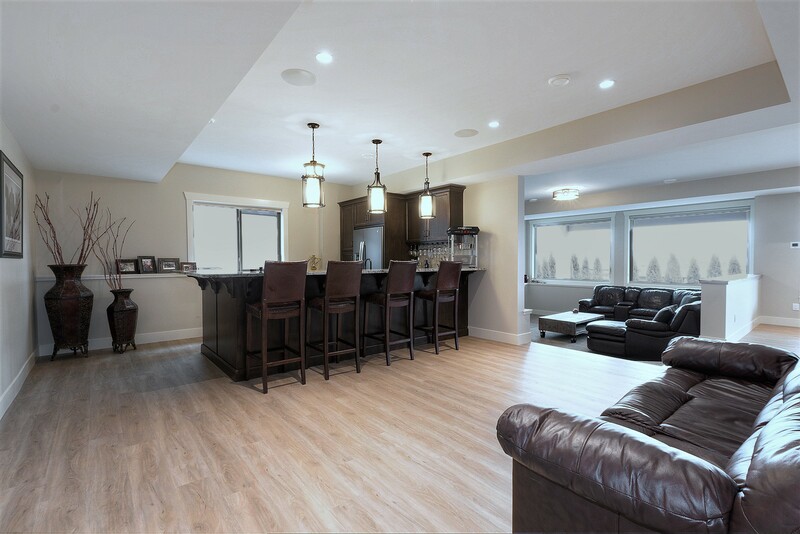 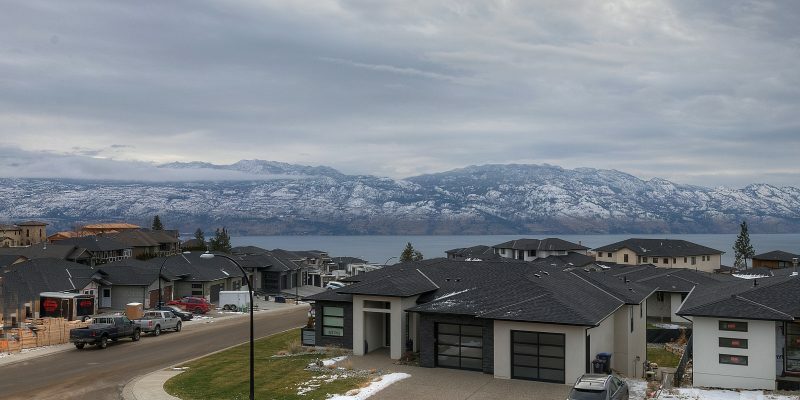 for ALL of Kelowna and W. Kelowna for a LAKEVIEW 2017-built walkout-rancher with new pool, triple heated garage & RV parking. 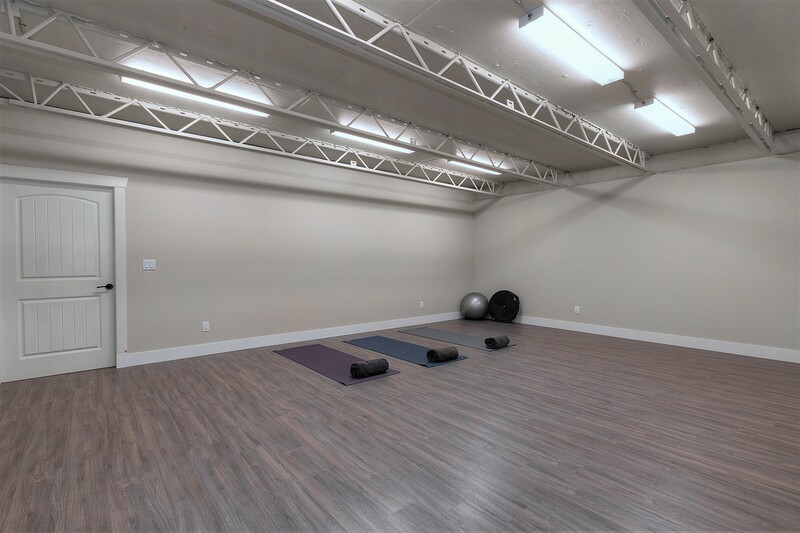 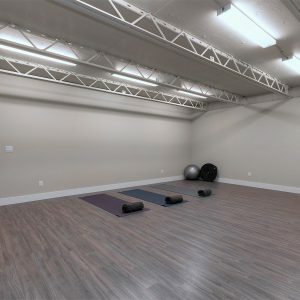 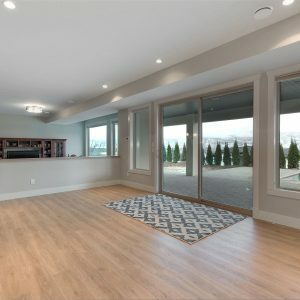 Finished with 4900sqft & NO GST to be paid. 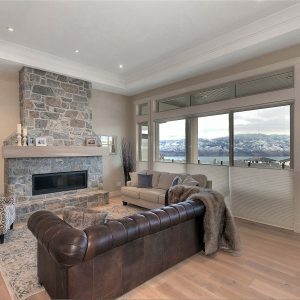 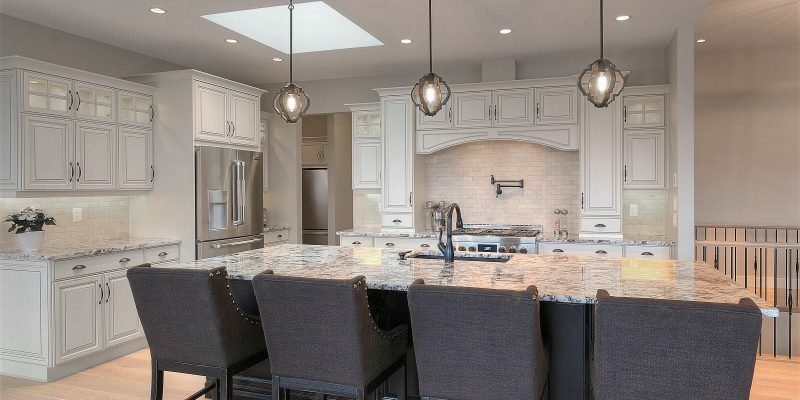 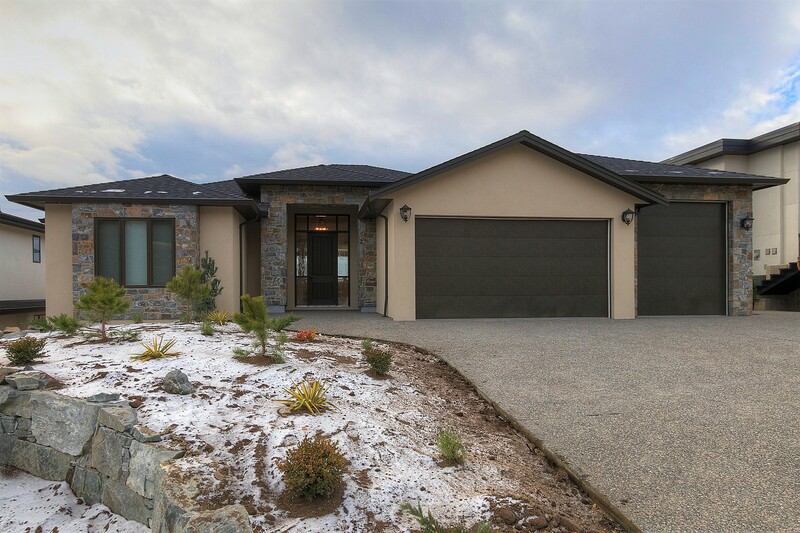 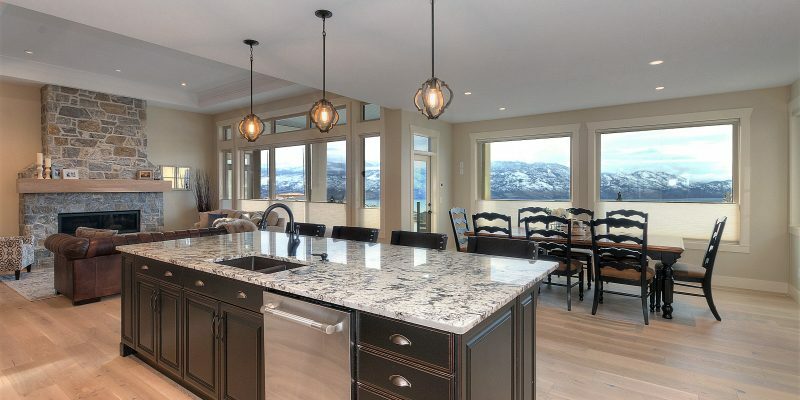 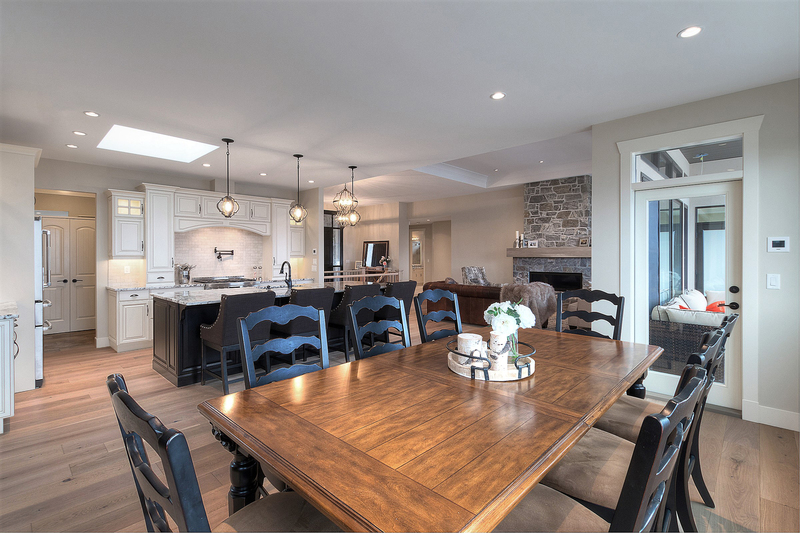 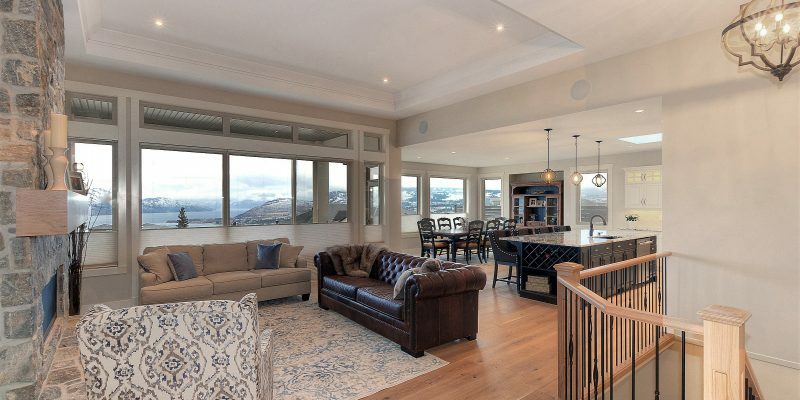 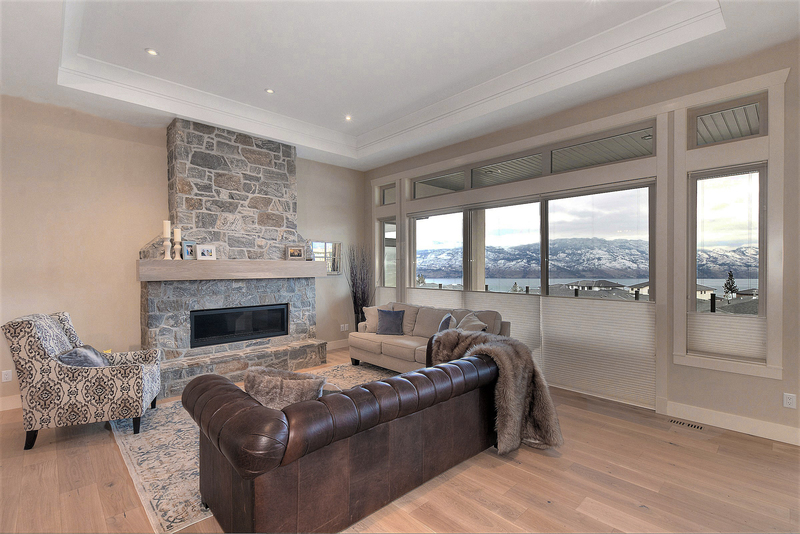 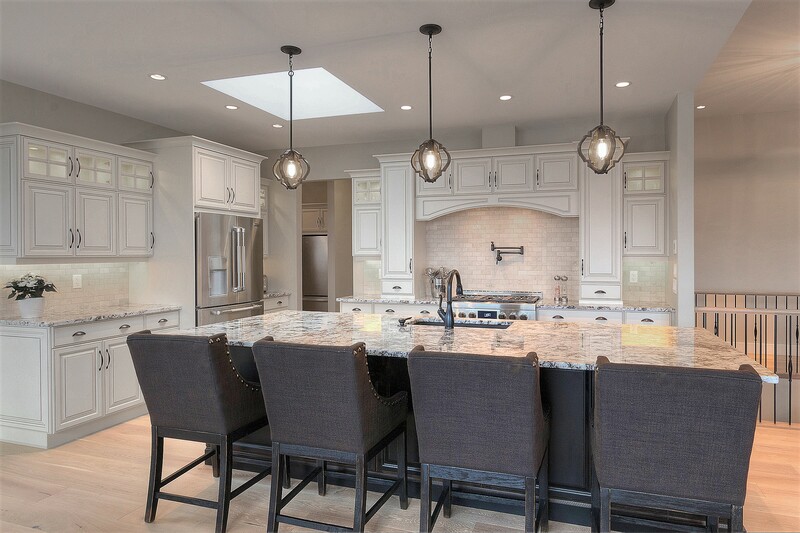 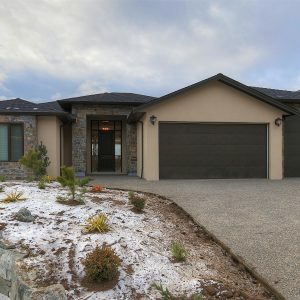 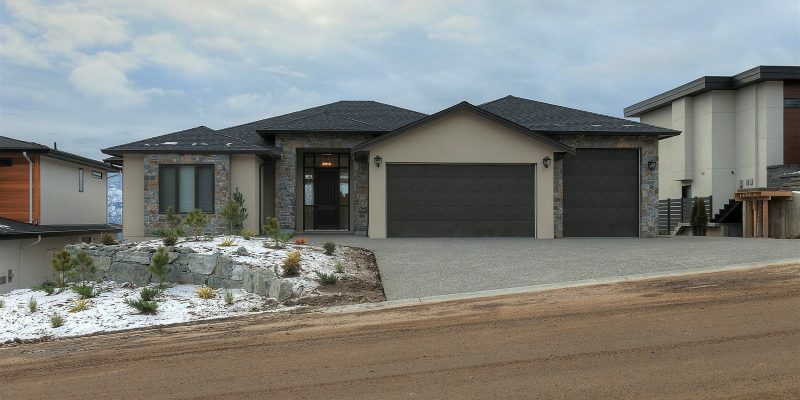 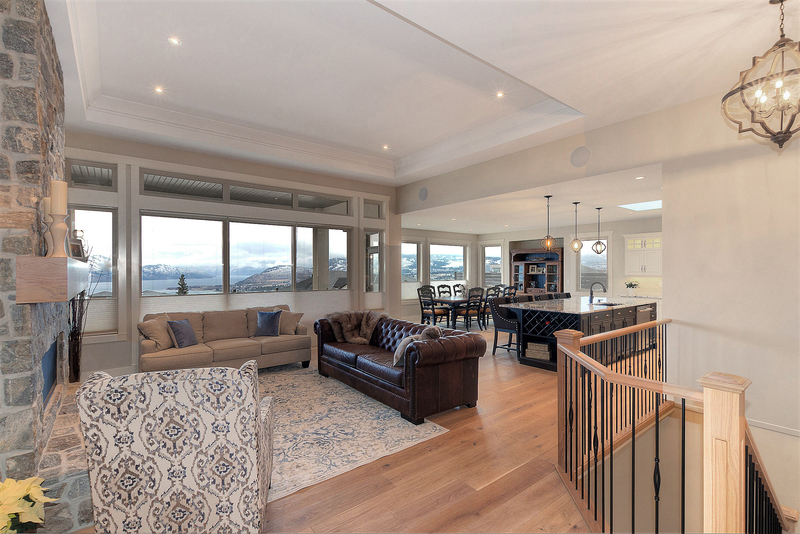 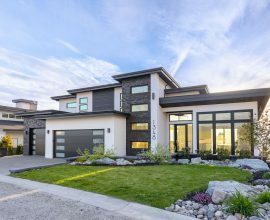 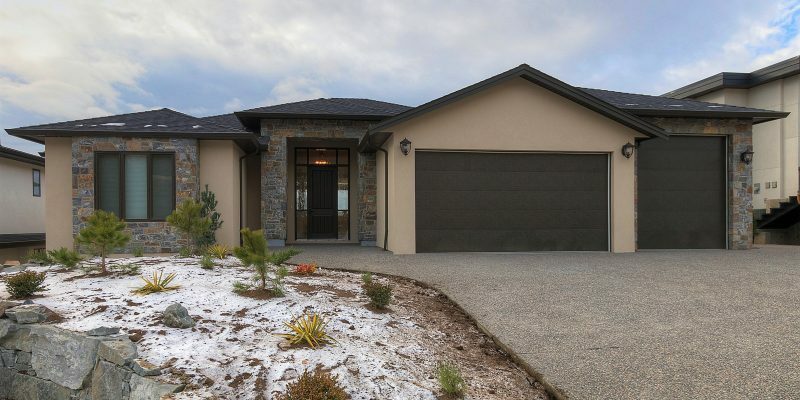 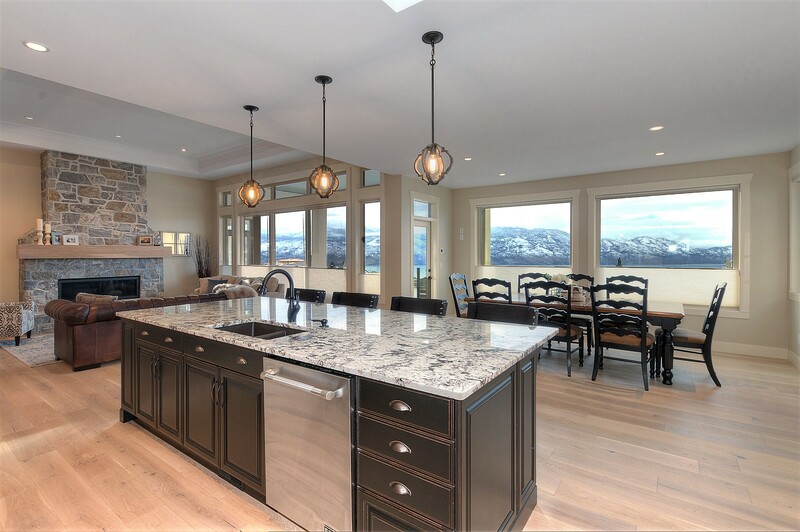 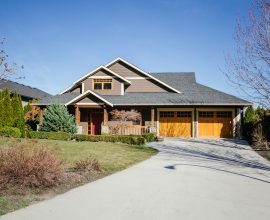 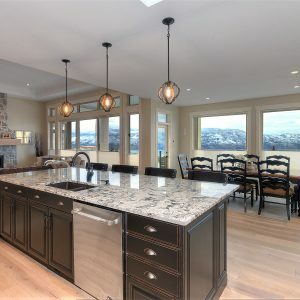 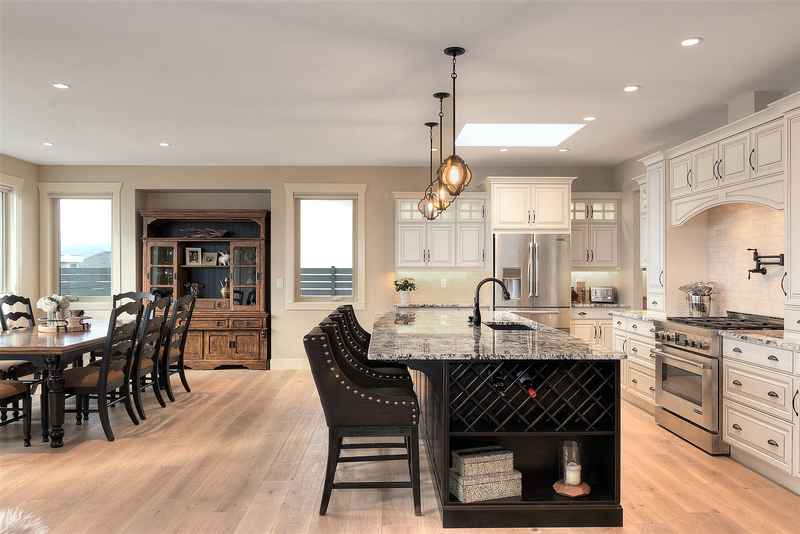 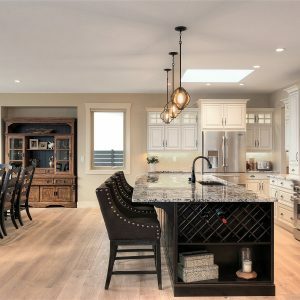 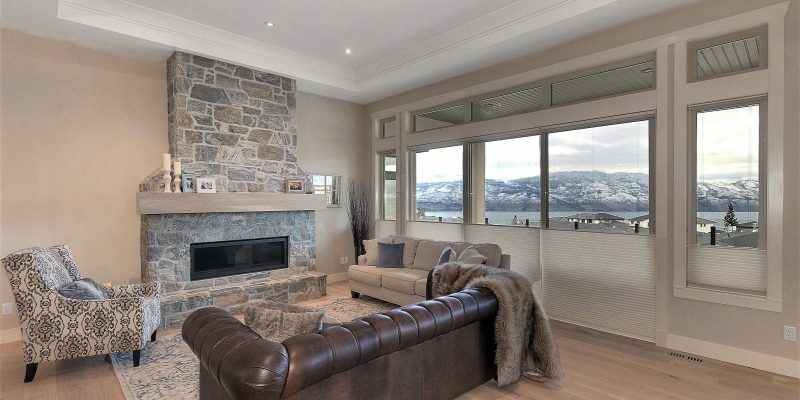 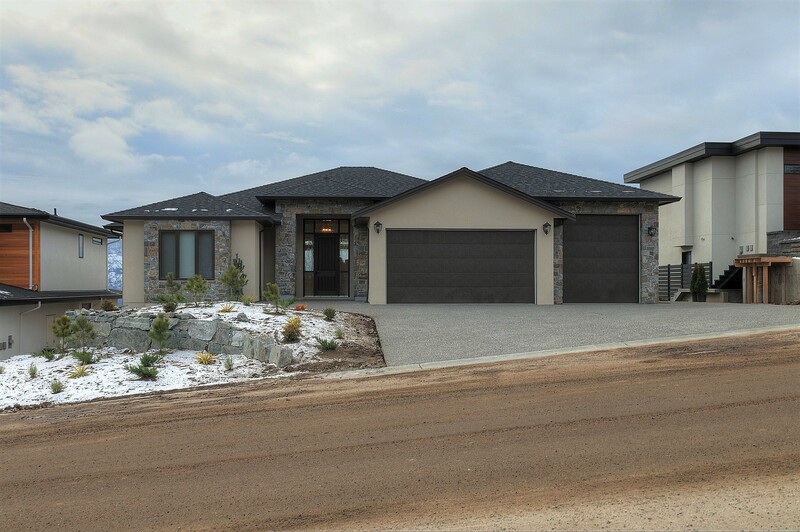 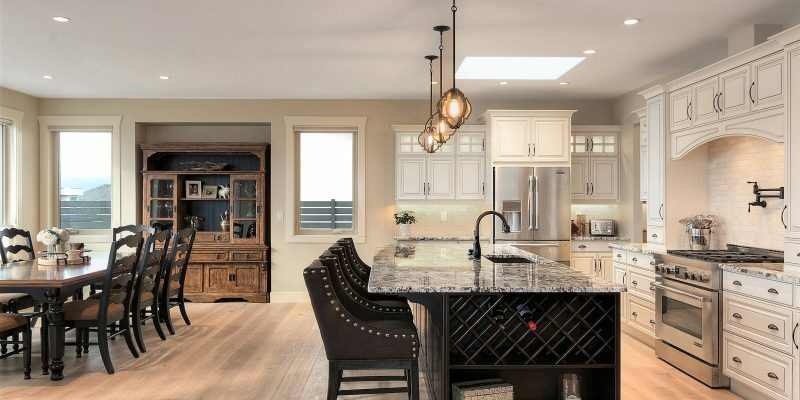 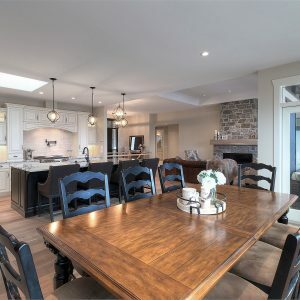 Within the popular executive neighbourhood of West Kelowna's Vineyard Estates is this spectacular craftsman-style 5bdrm, 4 bath family adobe; with completed landscaping included in the asking price. 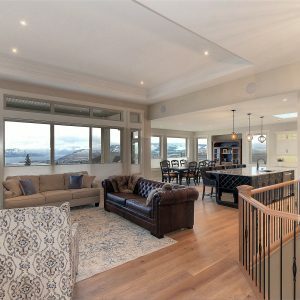 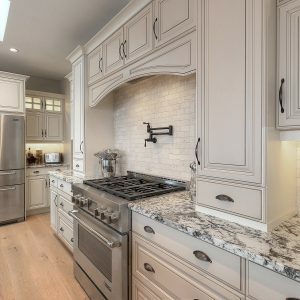 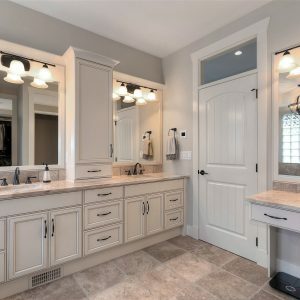 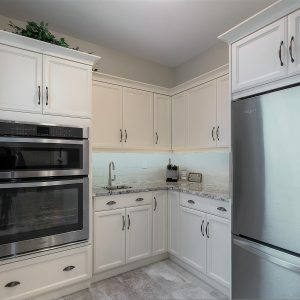 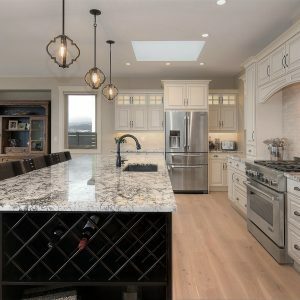 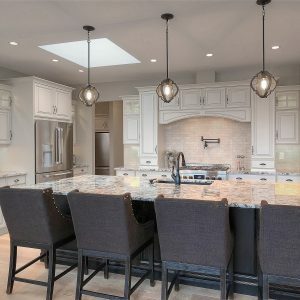 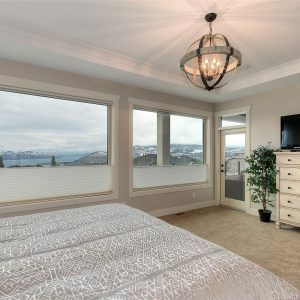 Enjoy protected lakeviews an inviting great room and open concept chef-style kitchen with 6 range gas stove, backsplash pot filler, high-function butler's pantry, travertine tile backsplash and cold springs granite counters throughout. 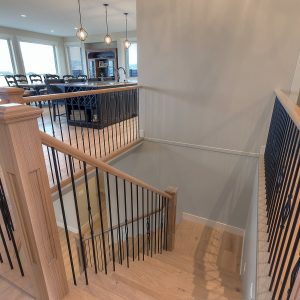 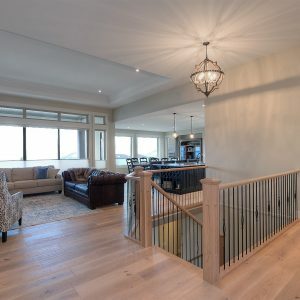 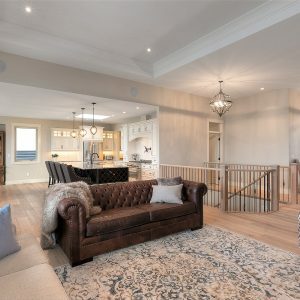 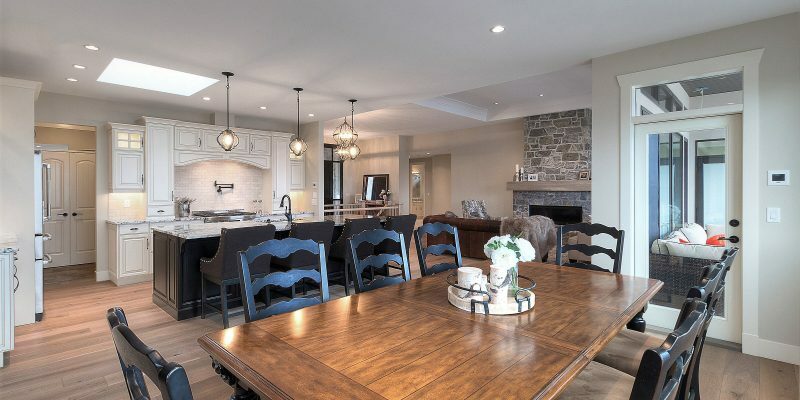 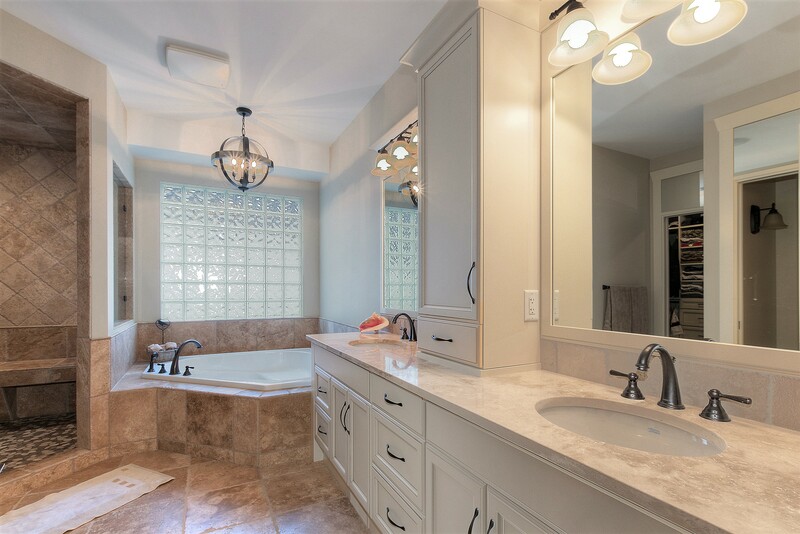 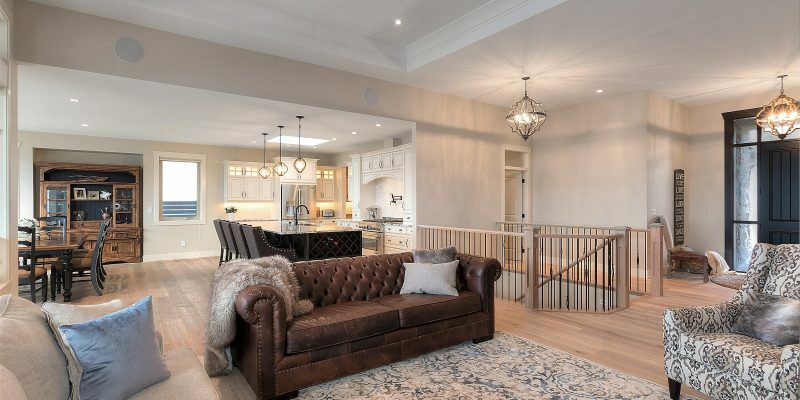 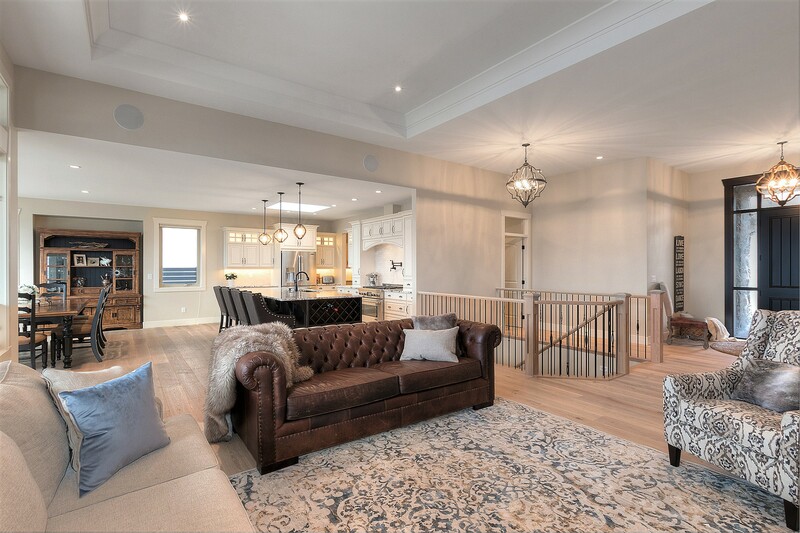 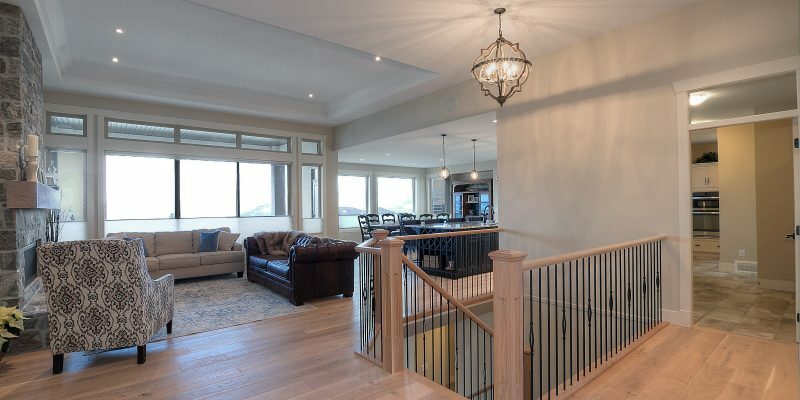 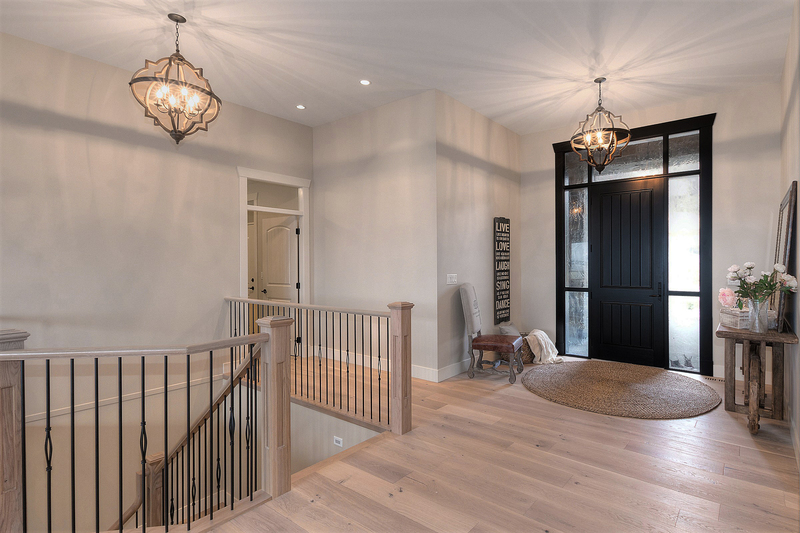 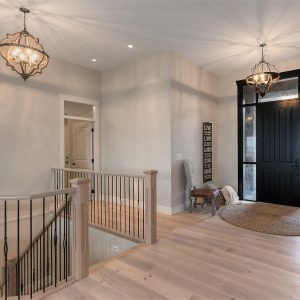 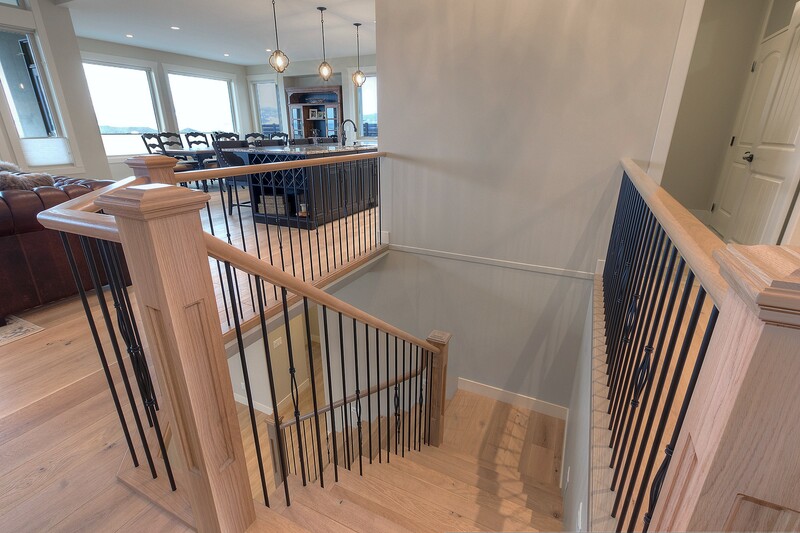 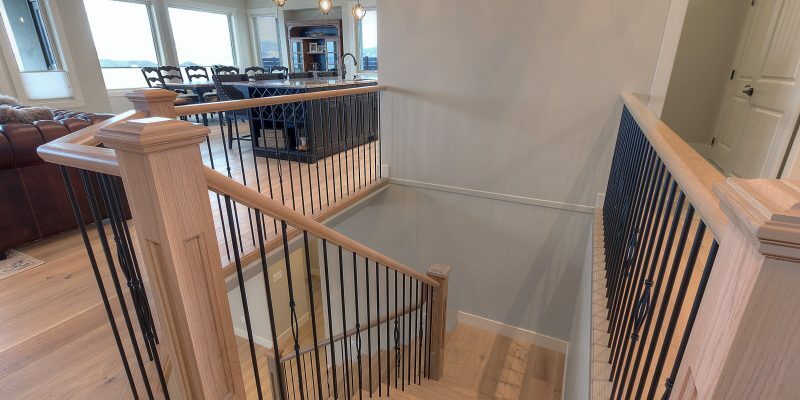 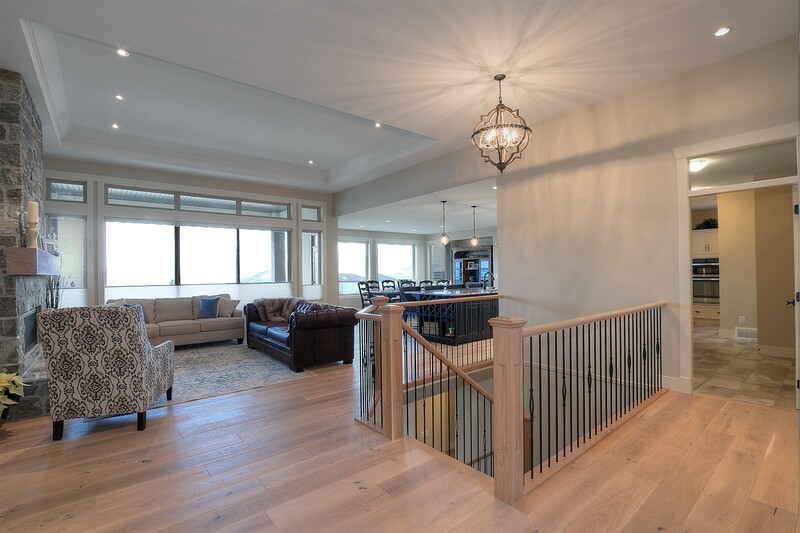 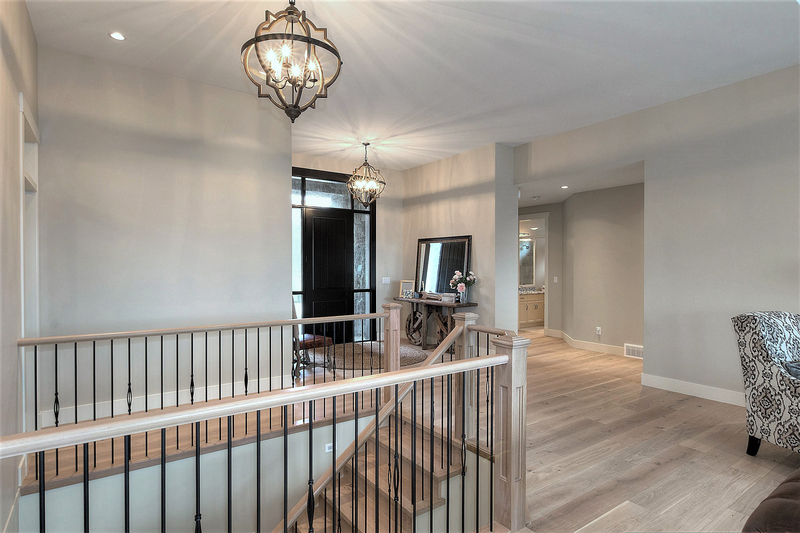 Tray finished ceilings, quality white oak flooring(even on the staircase); travertine tiled master ensuite, exceptional stone masonry throughout interior and exterior of the home. 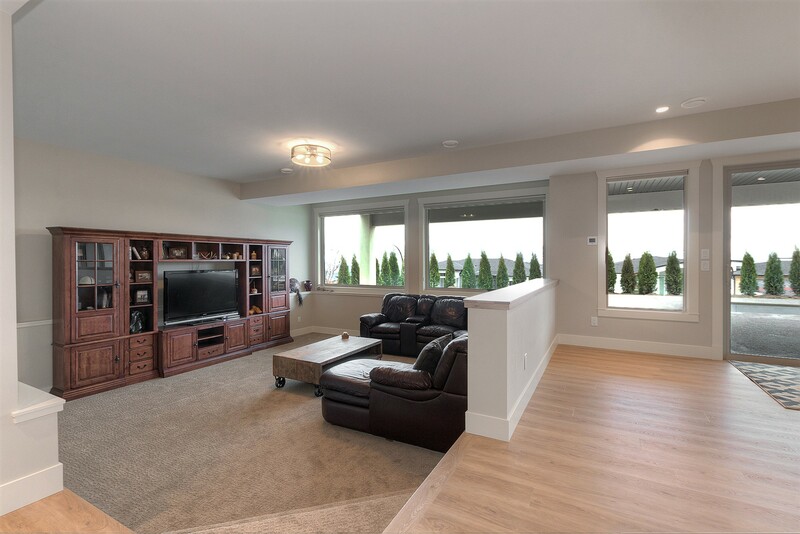 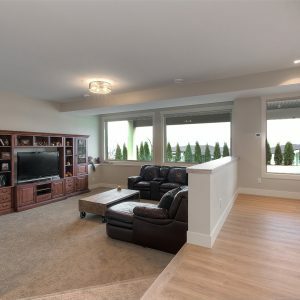 A perfect retirement floorplan or space for larger family with busy teens. 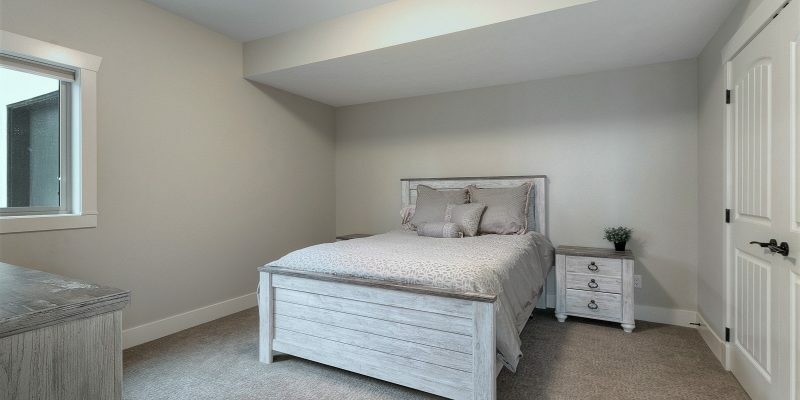 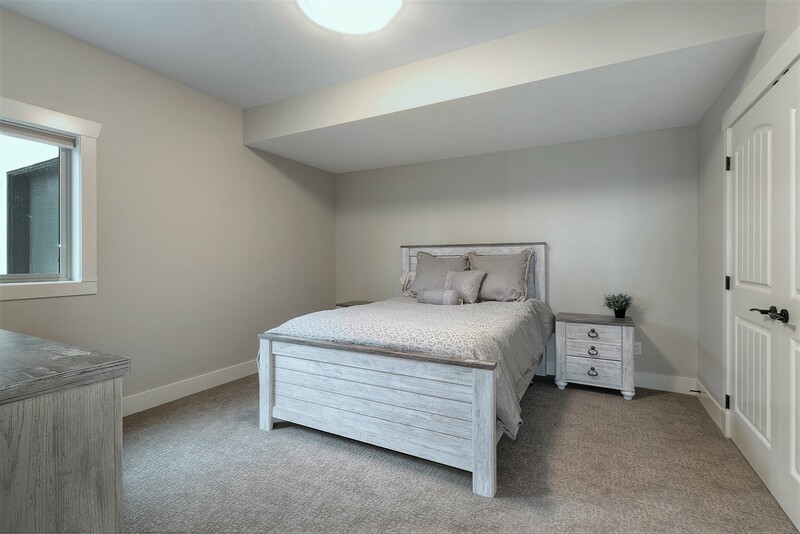 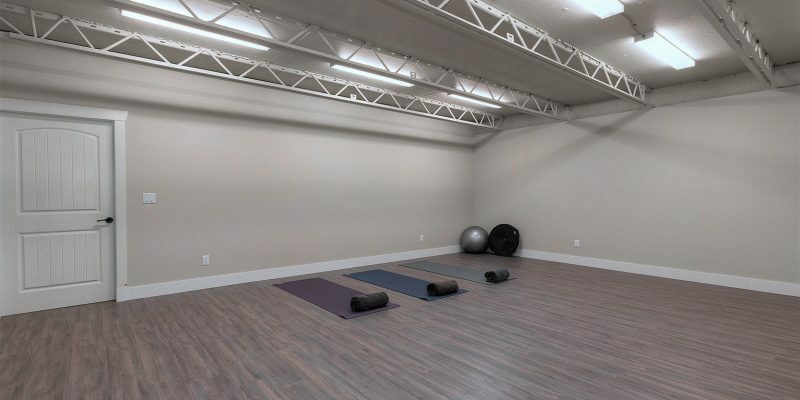 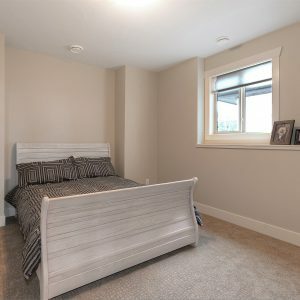 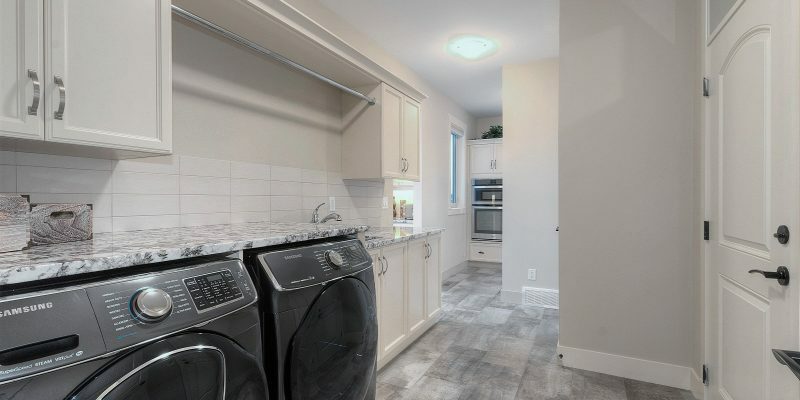 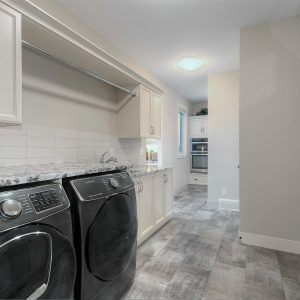 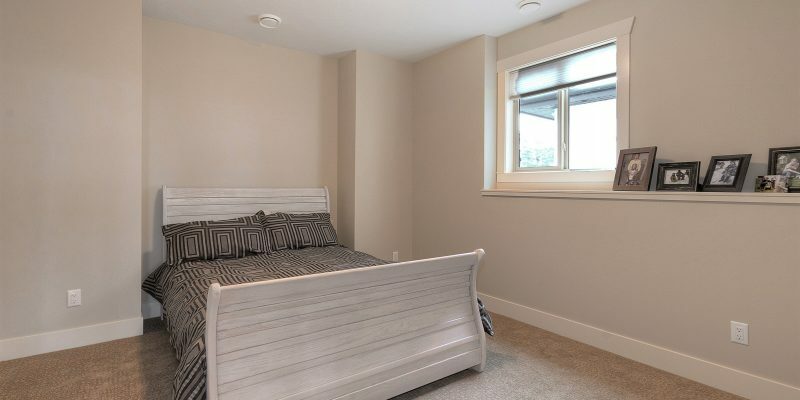 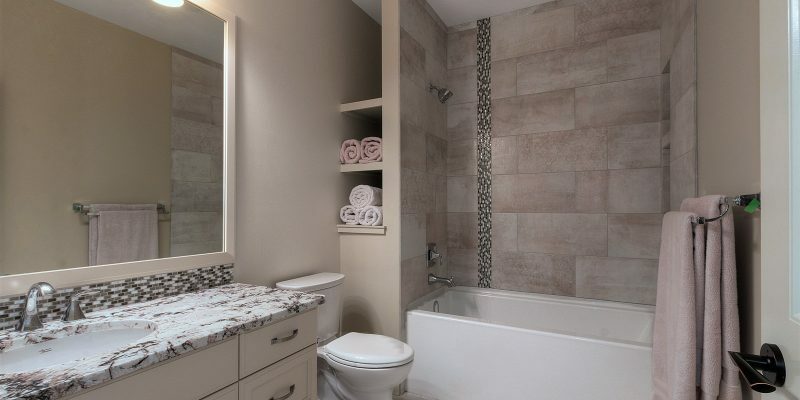 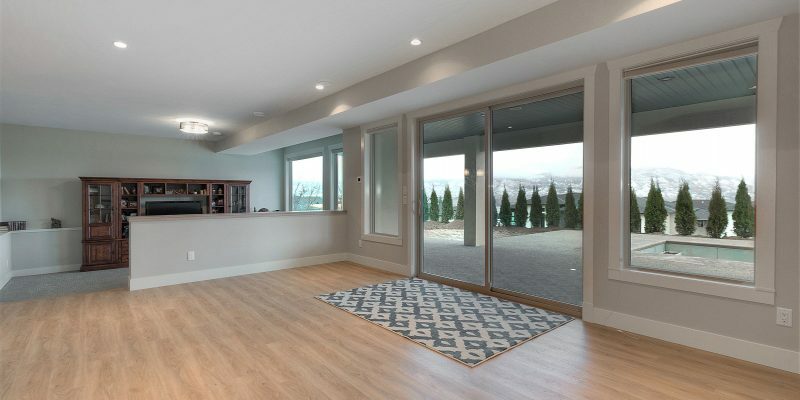 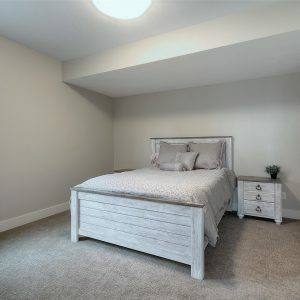 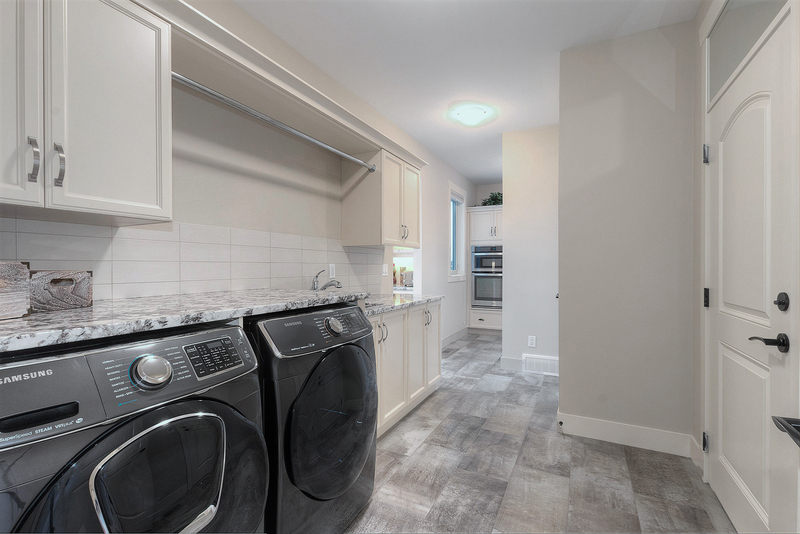 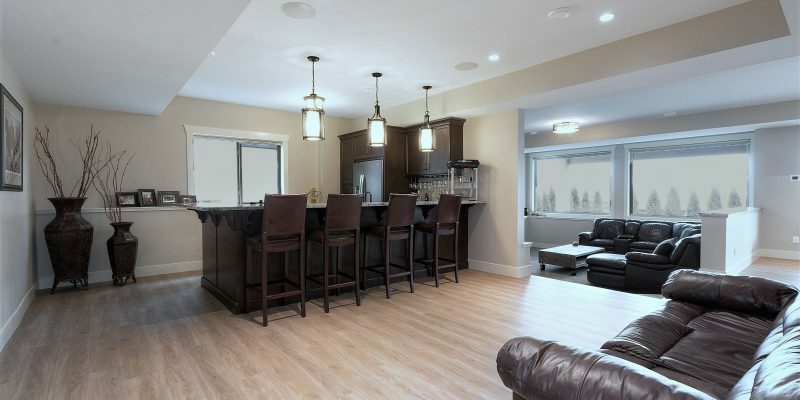 2 bedrooms are located on the main while a massive 2600sqft lower level offers three more bdrms, a sunken media space, room for billiards table & a finished suspended slab gym with generous storage area for the pool toys. 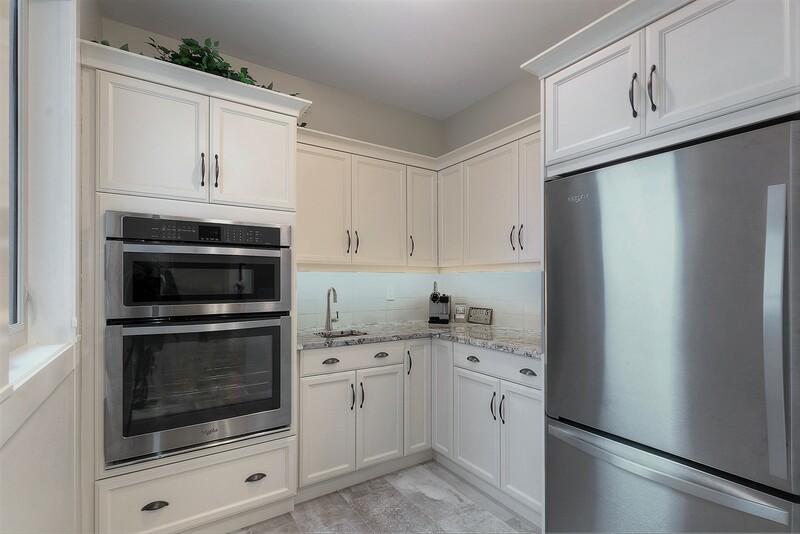 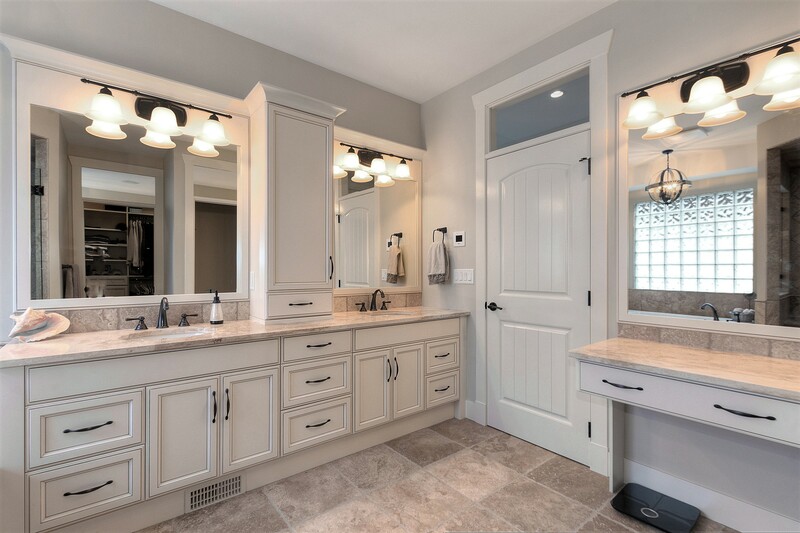 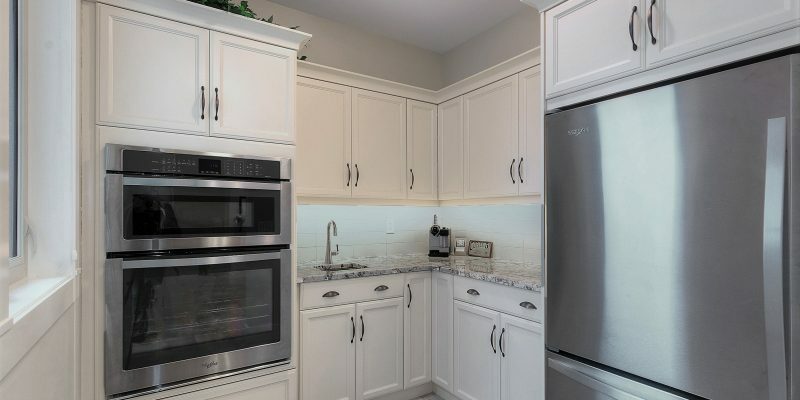 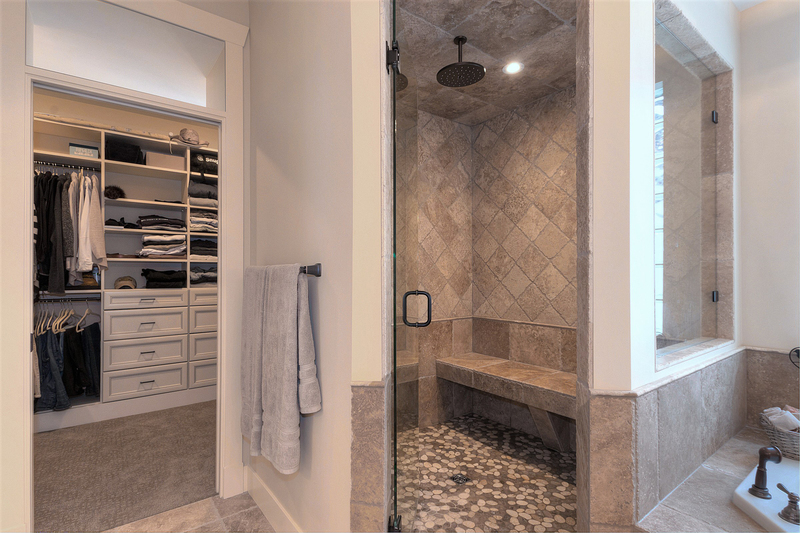 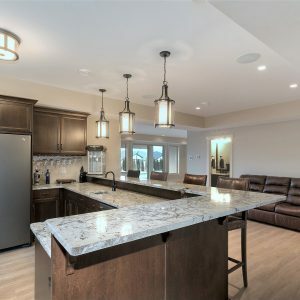 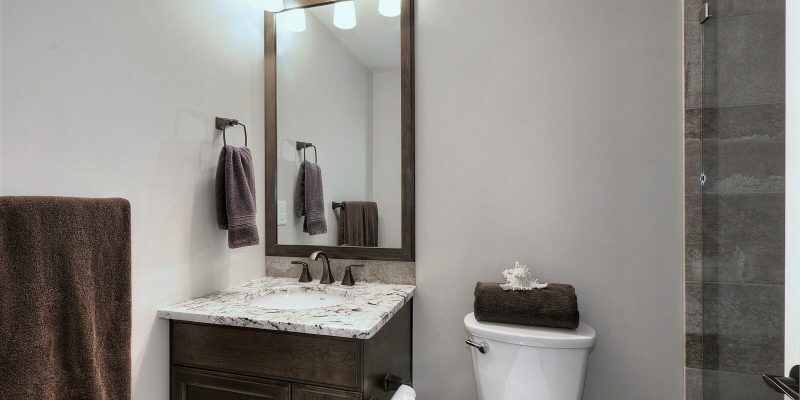 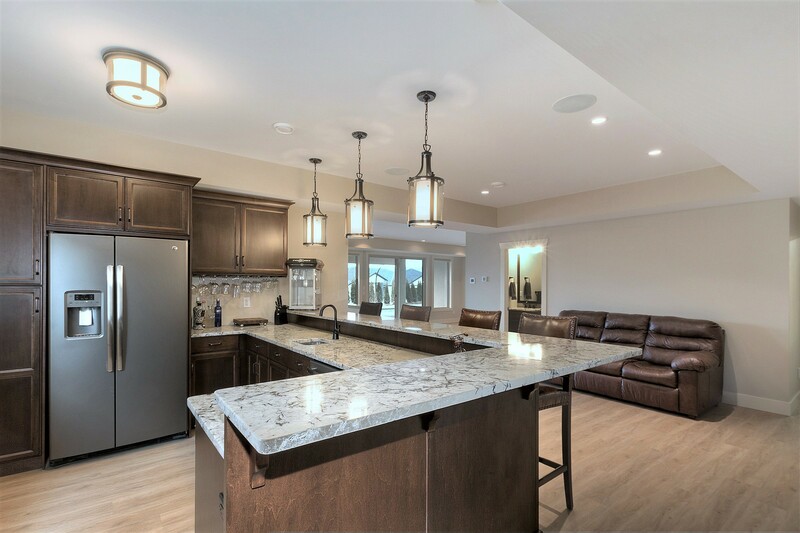 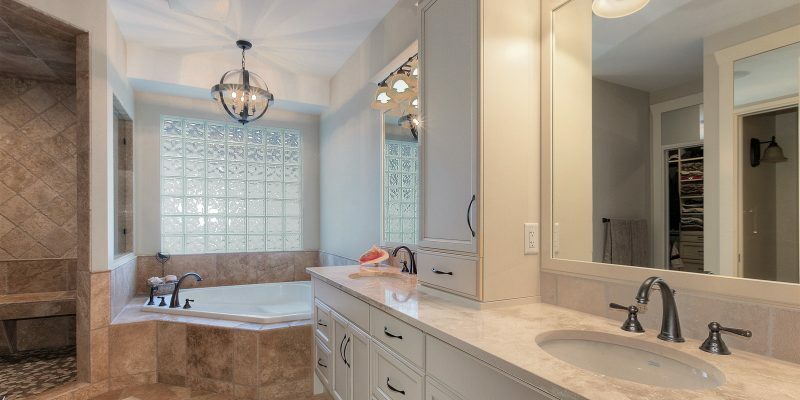 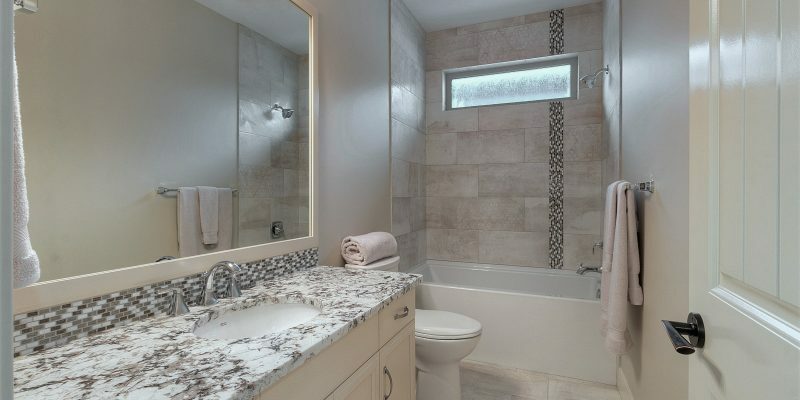 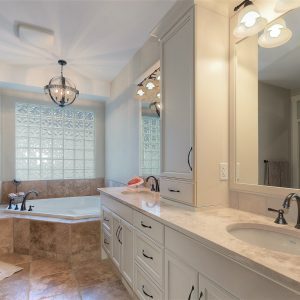 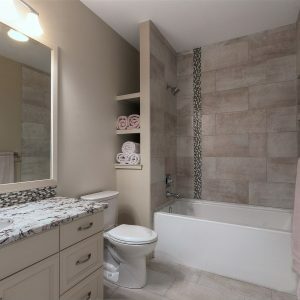 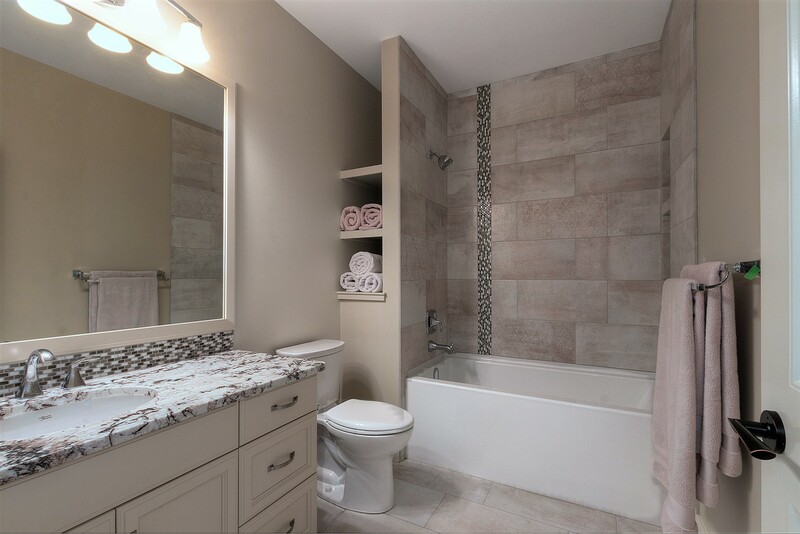 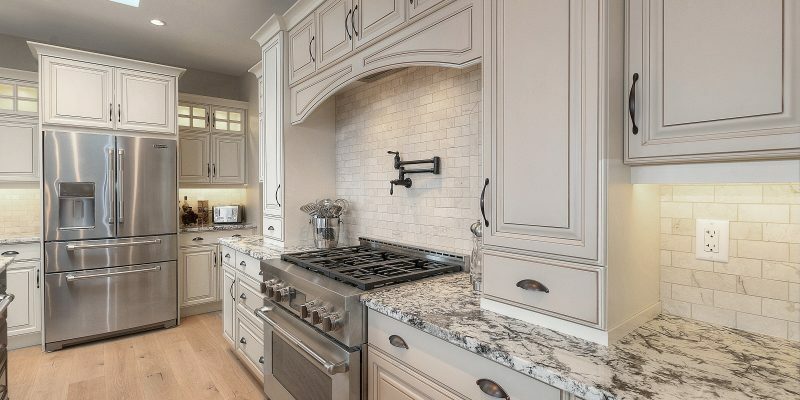 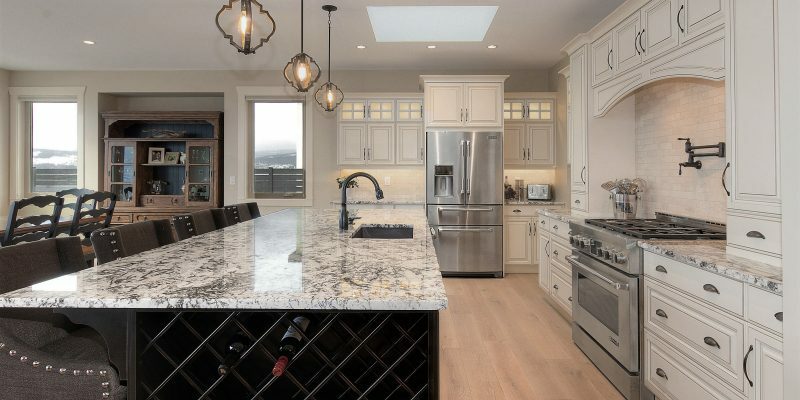 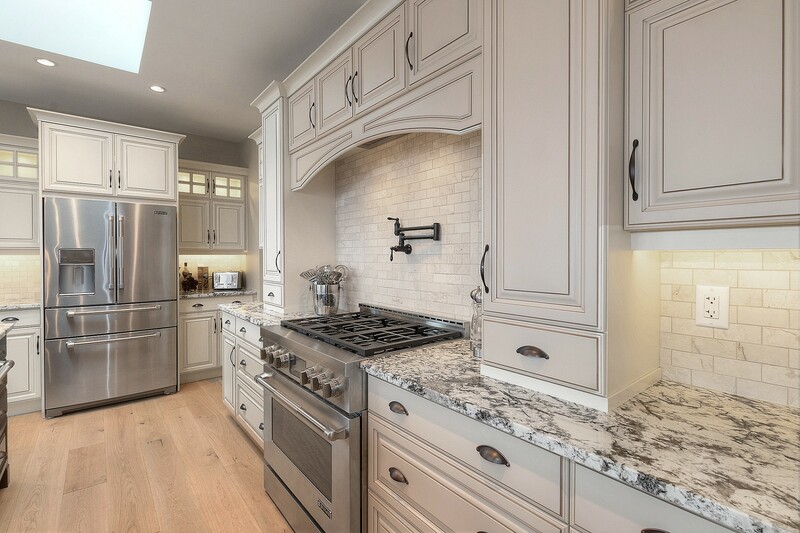 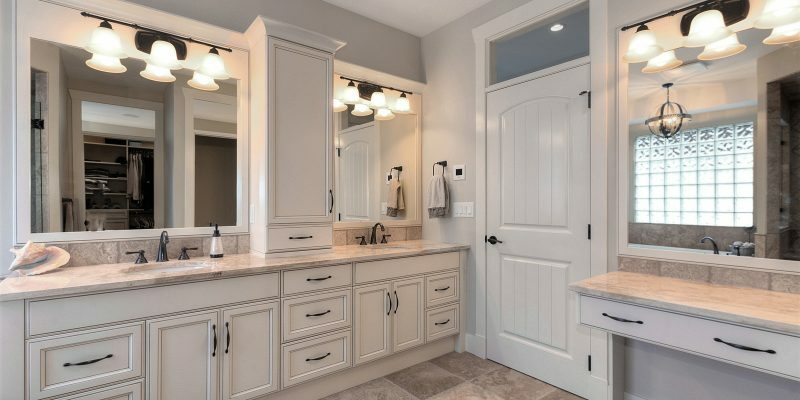 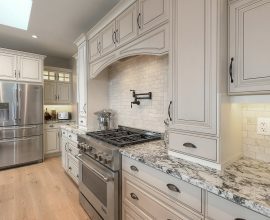 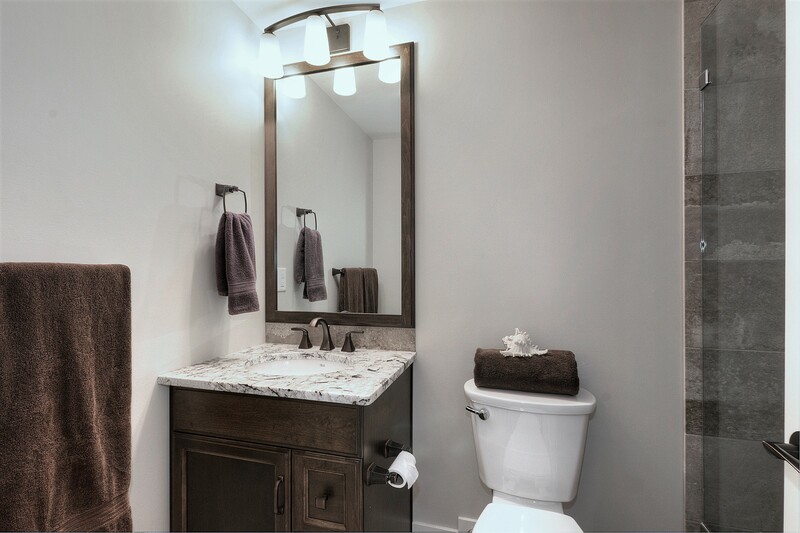 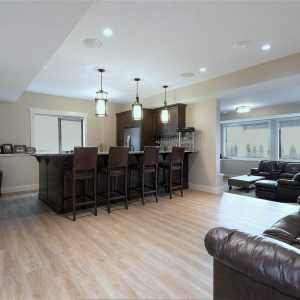 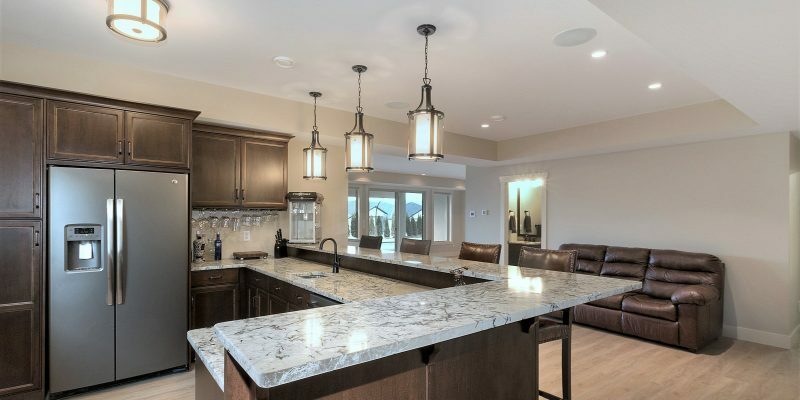 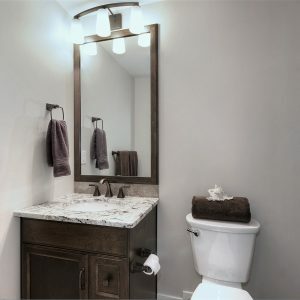 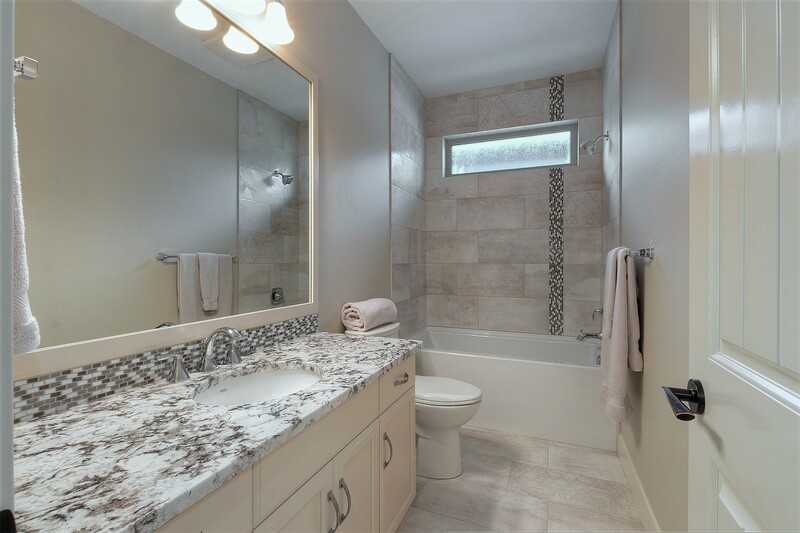 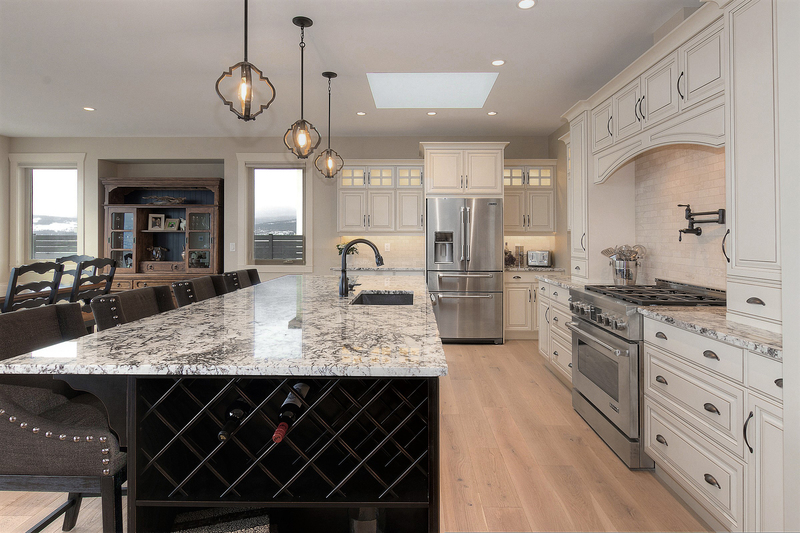 Everyone will love the large wet bar that could easily work as a 2nd kitchen for a larger family that desires privacy. 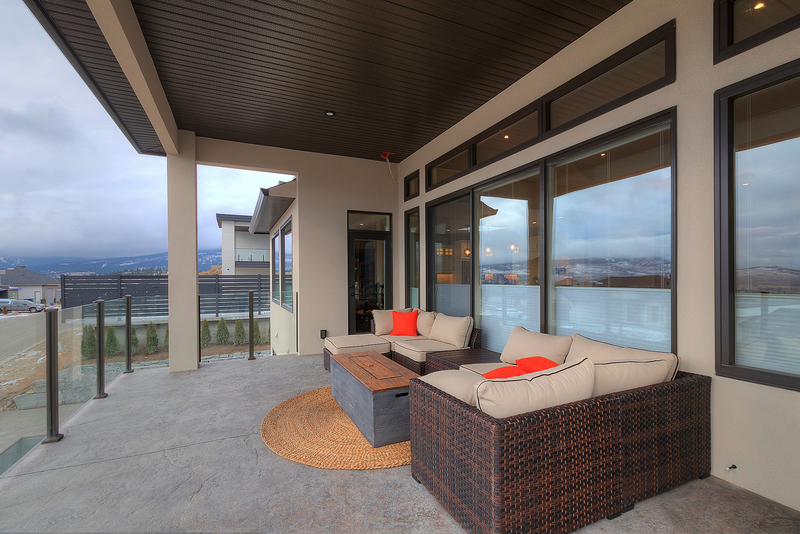 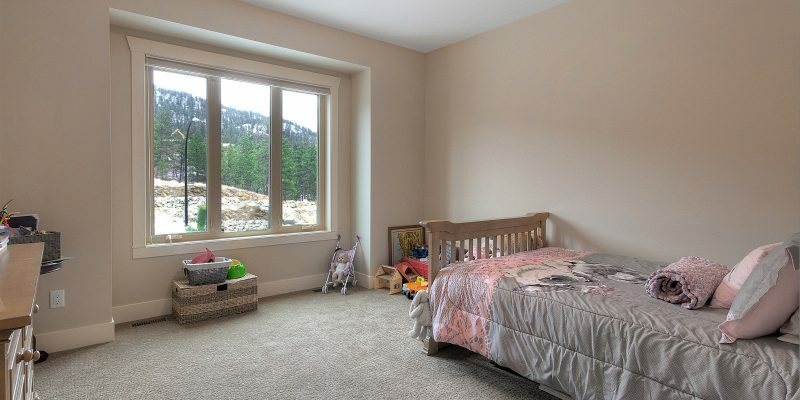 A full window treatment package included, A/C , central vac system and a nexus audio surround system. 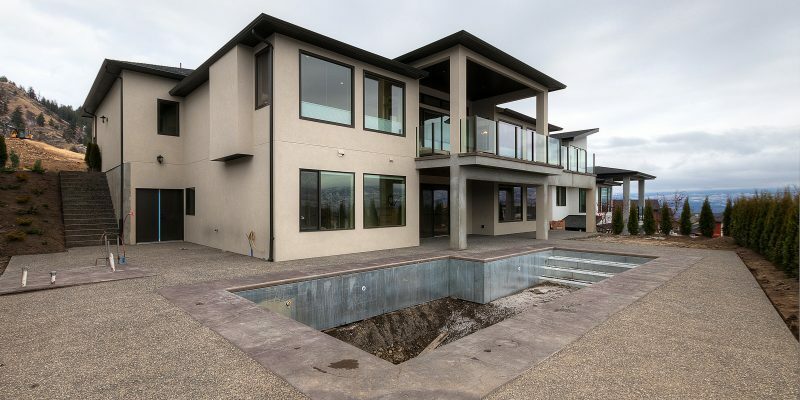 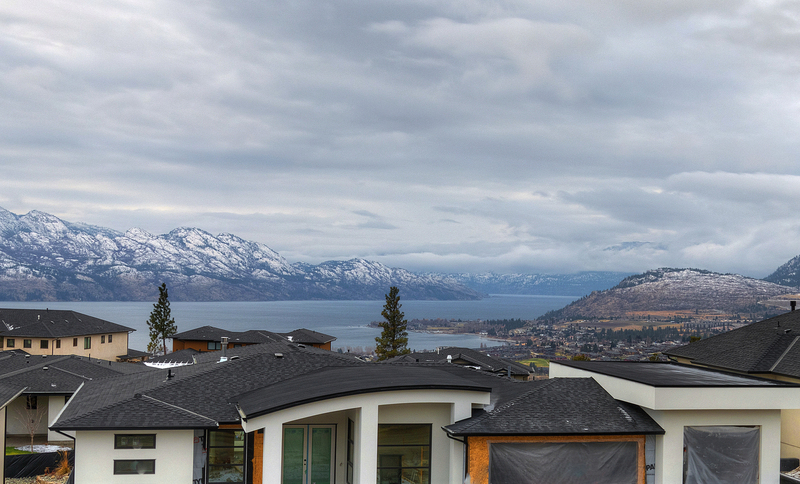 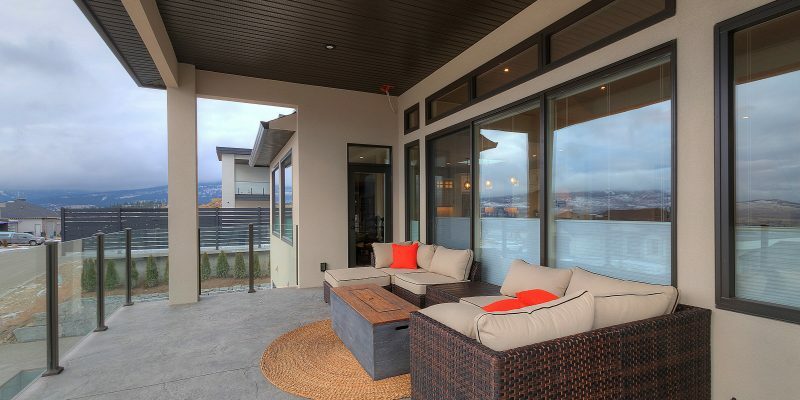 Truly the best luxury value offered on the market for newer construction with lakeviews. 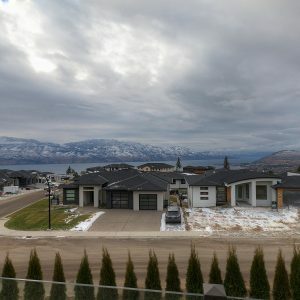 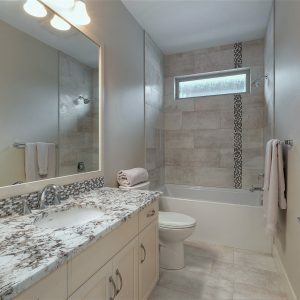 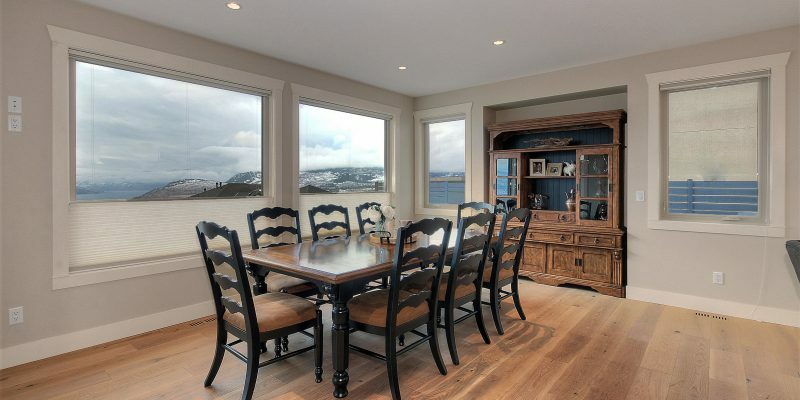 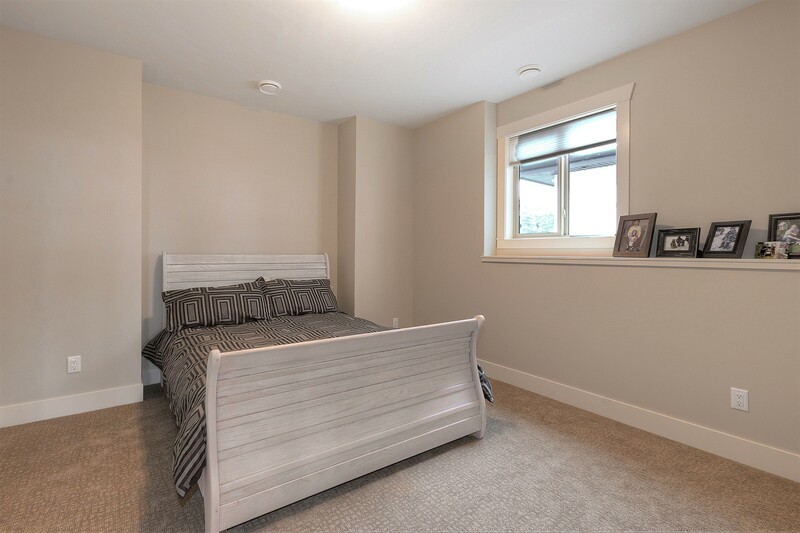 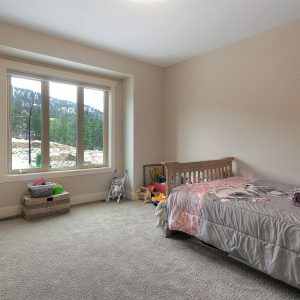 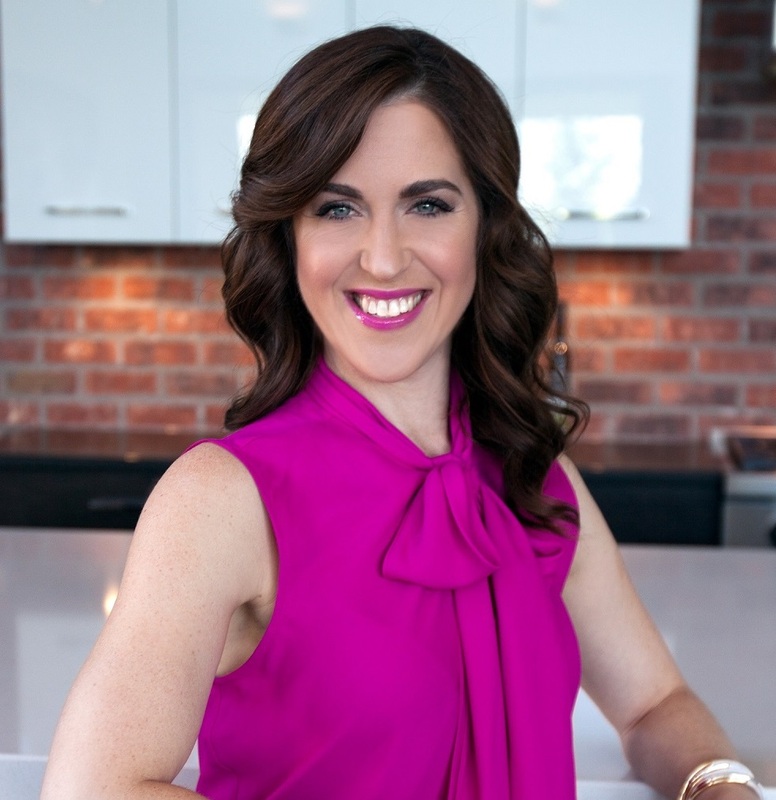 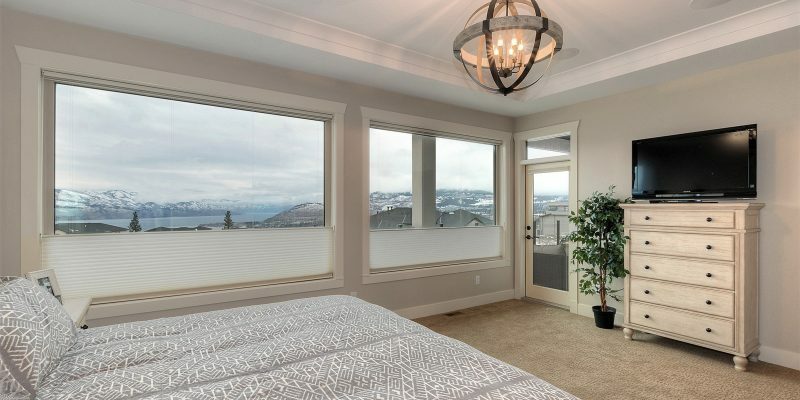 Call Gillian Krol to view at 250-718-5324.